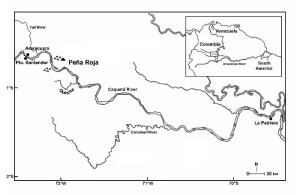 This site Pena Roja is located at number 70 in Columbia, in the Pacific Littoral region of South America. The archeological many plant remains of domestication species that were found of the site indicate that agricultural developed within this site. Among those remains domesticated plant species were Oecocarpuspus palms, tropical fruits, bottled gourds, that resemble that of a modern domesticated varieties that were recovered. References: Barker. (n.d.). Agricultural Revolution in Prehistory Weed Tuber and Maize Farming in the Americas Actions for ‘Agricultural Revolution in Prehistory 7 Weed Tuber and Maize Farming in the Americas’ (1st ed., pp. 264-272). Oxford University Press. 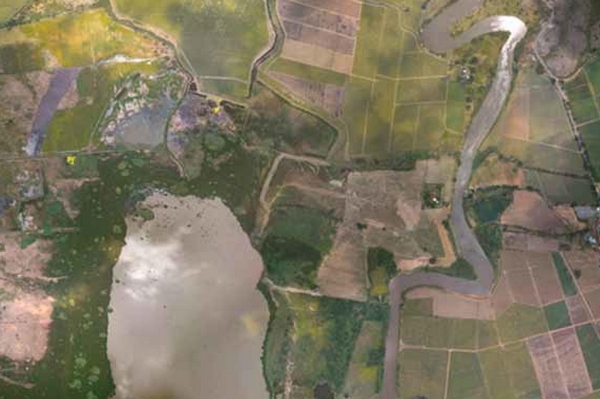 This aerial view of the agricultural site of Pena Roja. As you can visualize during the Holocene area the climates allowed for growth of agriculture. 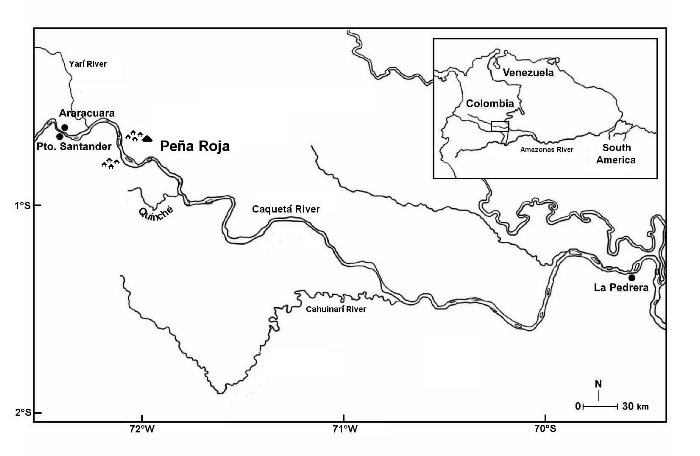 As well as something to mention is the location of the agricultural archeological site to the river basin. The river and access to water played a large part into the growth of domestication within this agricultural site. References: Diálogo Andino. Digital image. A Section of the Alluvial Valley of the River. Foto Rudolf, n.d. Web. 7 Dec. 2015.